As I’m sure most of you guys know, I love a spa day. I’ve lost count of how many I’ve been to now but I recently found a new favourite and I obviously can’t wait to share it with you all. Say hello to Rudding Park, one of the most luxurious spas I’ve ever visited. I first heard about Rudding Park when one of my best friends Lauren (find her blog here) announced it would be her wedding venue. 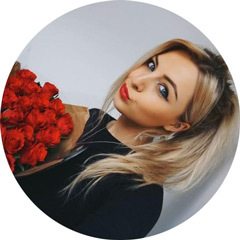 I was lucky enough to be Lauren’s bridesmaid so I obviously did my research on the venue before her big day to which I discovered it was not only a beautiful wedding venue and hotel but also a state of the art and newly refurbished spa. I visited for the first time on Lauren’s wedding day back in September and I was so impressed - the building itself is beautiful and once inside, it has the most cosy and welcoming atmosphere. However, as I was there for the wedding and bridesmaid duties were in full force, other than my head hitting the pillow to sleep, I didn’t get chance to do any exploring of the hotel or spa. With this being said, I felt another visit was essential. 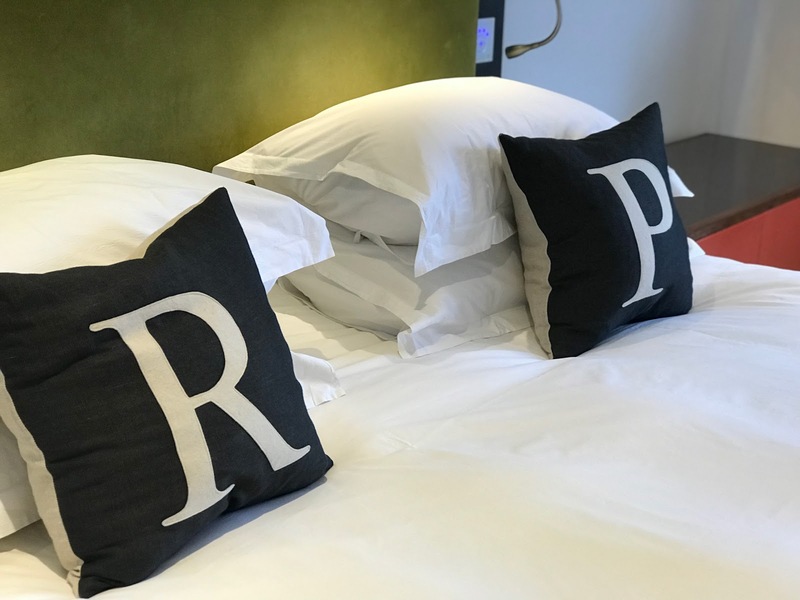 I returned a couple of weeks ago with my friend Debra for a girly night away and I can’t wait to tell you guys all about it. 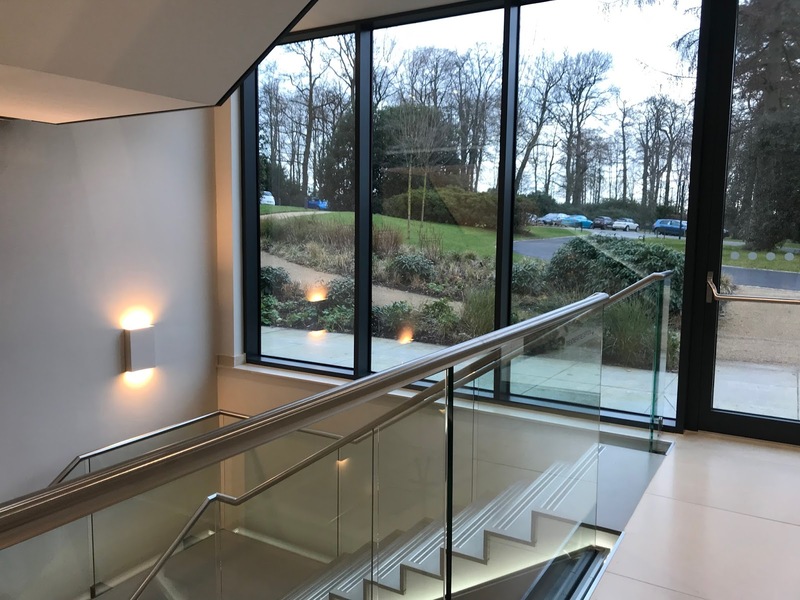 We travelled from the Lake District to the spa which is based in Harrogate and the journey was so straightforward – I’ve never driven long distance before as my fiancé usually does all the driving so I was a little bit apprehensive about it but luckily, it was a really great drive and all went well. When we arrived, the staff were so welcoming and couldn’t do enough for us - they took our luggage straight from us and gave us all the information we’d need for our stay. We were then shown to our room which was one of their beautiful spa suites. As you can see from the photos, these rooms are very luxurious. 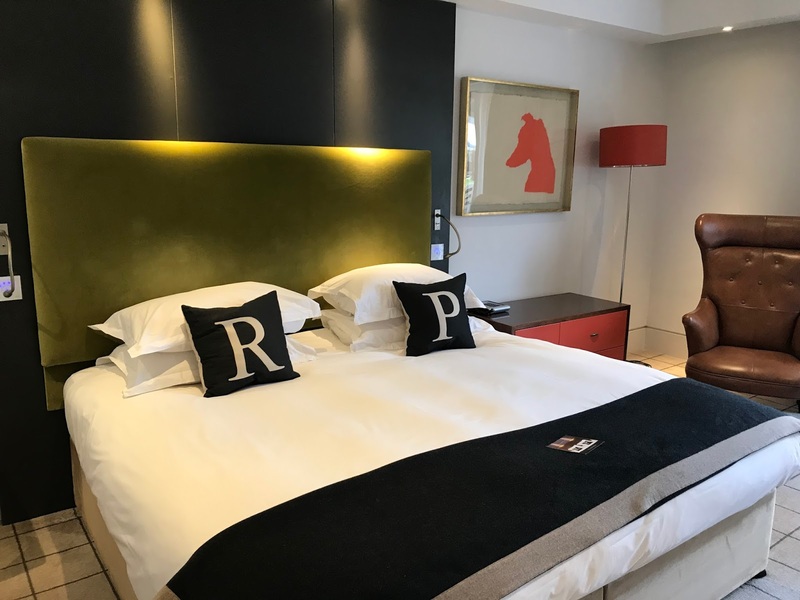 From the huge king sized bed to the insane freestanding bath, sauna shower and Molton Brown toiletries, it’s the kind of room you don’t want to leave. I could have easily stayed in that room all day. 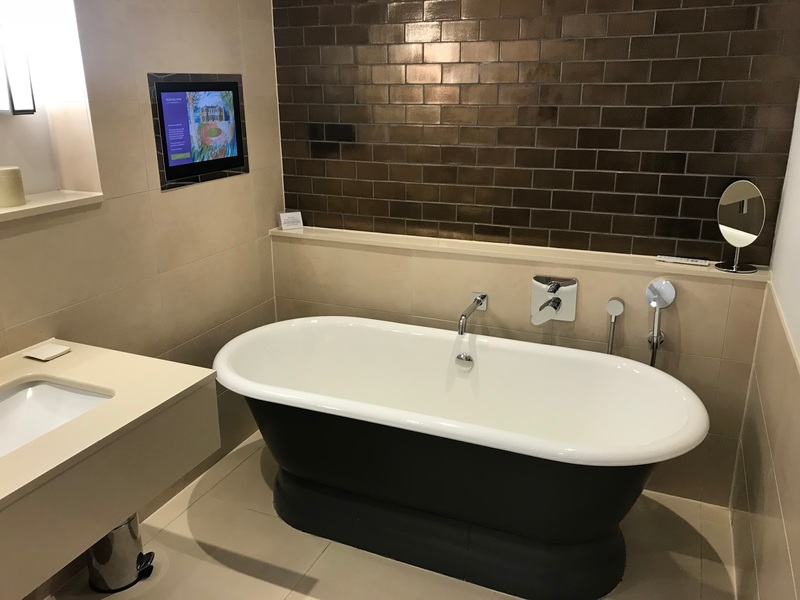 I mean there’s even a tv in the wall above the bath and a ‘pillow menu’ - what more could a girl ask for?! 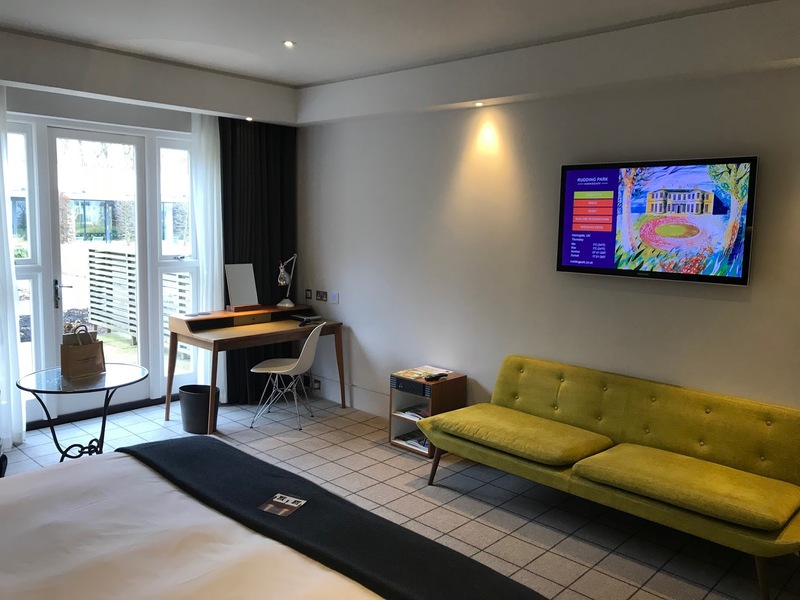 I also really love the décor throughout the whole hotel – it has a nice mix of traditional and modern and has a really warm and homely atmosphere. 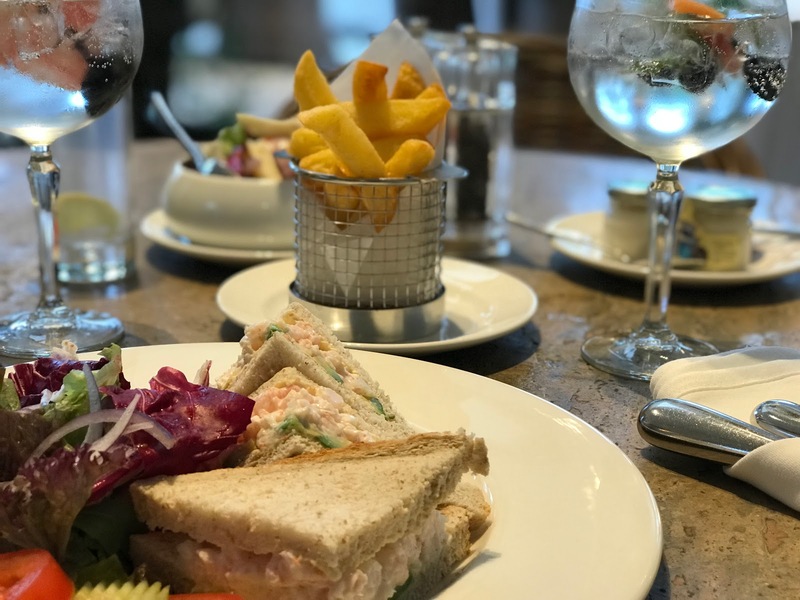 After enjoying a glass of prosecco in the room we decided to head for some lunch in one of Rudding Park’s two restaurants, The Clocktower. We fancied something fairly simple as we’d planned to have a fancy meal later that evening so we both opted for a sandwiches with chips and of course a G&T. 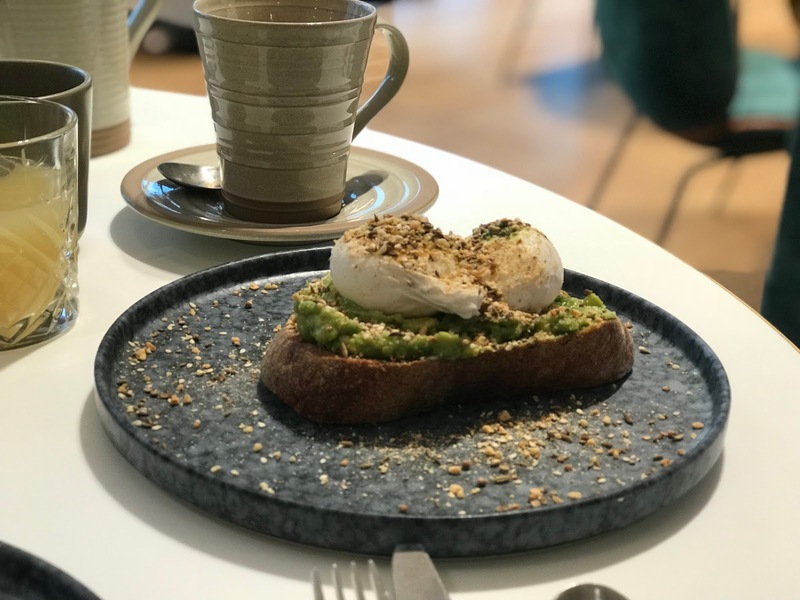 It was delicious and there was such a nice atmosphere in the restaurants conservatory area – the perfect place to sit back and relax. We also had a star struck moment as whilst we were eating lunch, Michael Parkinson (yes, the TV legend Michael Parkinson) and his family were shown to a table opposite us. Debra and I looked at each other completely god smacked and contemplated asking for a photo but neither of us could pluck up the courage! However, it just goes to show what an amazing place Rudding Park is. If it’s good enough for Sir Michael Parkinson, it’s good enough for me. After lunch, it was finally time to hit up the spa which I was super excited about. 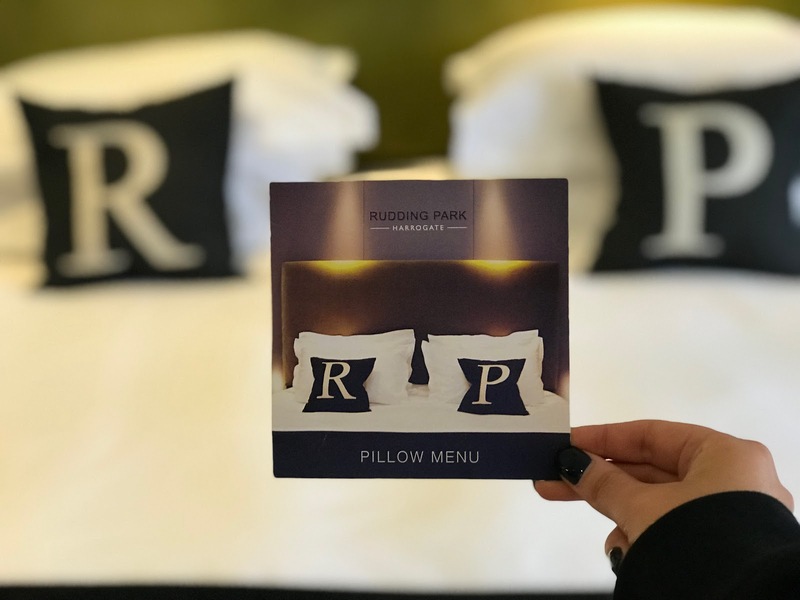 Rudding Park has everything you could possibly think of including a rooftop pool and hot tub, indoor pool, sauna, steam room, relaxation zones, a nap room, cinema, foot spas, ‘experience’ showers and so on. You name it and Rudding Park have probably got it. We were most excited for the rooftop pool after seeing photos of it online and it certainly didn’t disappoint. 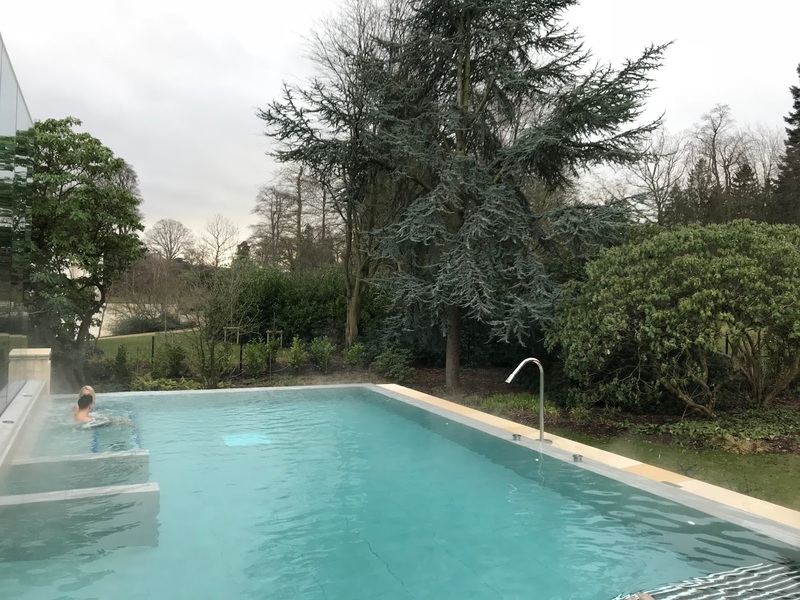 Despite it being the middle of February and freezing outside, you couldn’t feel it when you were in the heated pool – it was so nice and toasty! There was also mini jaccuzzi’s built in around one side of the pool which lots of people were taking full advantage of. It was the perfect area to just chill and watch the world go by. 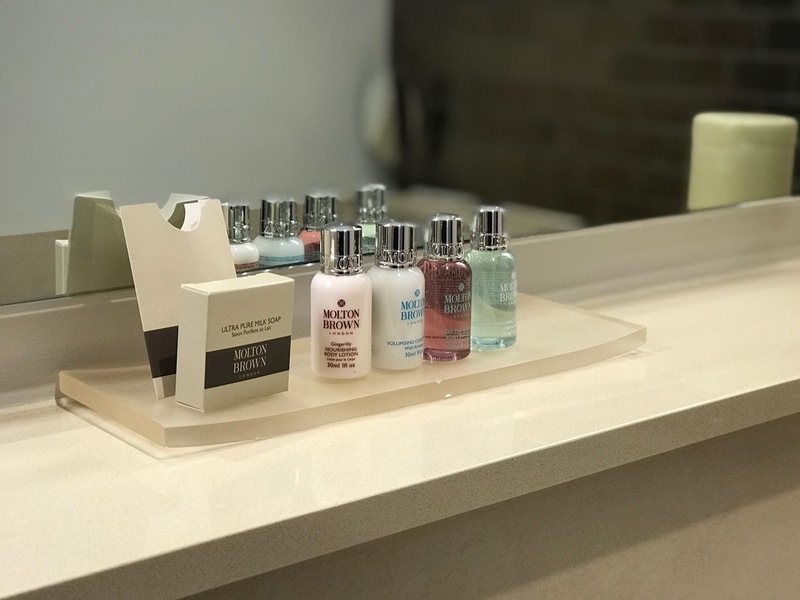 As well as all the spa facilities, they also offer a huge range of treatments from your usual to a few more unusual treatments like body wraps and mud baths. I’m a big fan of facials so decided to book one for some additional pampering and relaxation time. I went for the Resurfacing Peel & Reveal facial which promised to leave me with ‘luminous and radiant’ skin. The treatment room was beautiful much like the rest of the spa and the kind of place you instantly felt relaxed. The treatment lasted for 50 minutes and it was so relaxing – I was a bit apprehensive as sometimes peel and exfoliating treatments can be a little on the uncomfortable side but this was still really relaxing and had a number of different steps including a deep cleanse, gel peel and some light treatment to ensure my skin was left glowing. I think I may have even drifted off at one point, oops. The products used were from a brand called Carita which isn’t one I’ve heard before but the lovely girl doing my treatment gave me some samples to try so I’m looking forward to trying them out at home. After my pamper, I headed back to the spa and Debra and I decided it was time to relax in the pool for some girly chats with a drink in hand before getting ready for dinner. We decided to try a rhubarb gin recommended to us by the staff and it was delicious – they served them straight to the pool so there was no need to move a muscle. Pure bliss! It got to around 6pm and we had to literally drag ourselves away from the pool to go and get ready for our dinner reservation at 8pm. We could have stayed in there all night chatting away and drinking the pretty Pink G&T’s! When we got back to our room, I decide to run a bath as lets face it, when you’ve got a room with a bath that beautiful, it’d be rude not to, right? I had a nice soak (and Debra kindly took some photos for this post / Instagram – best friend points!) whilst listening to Radio One on the bathroom TV and surround sound system. Seriously guys, I need to replicate this bathroom at home as it was just insane! 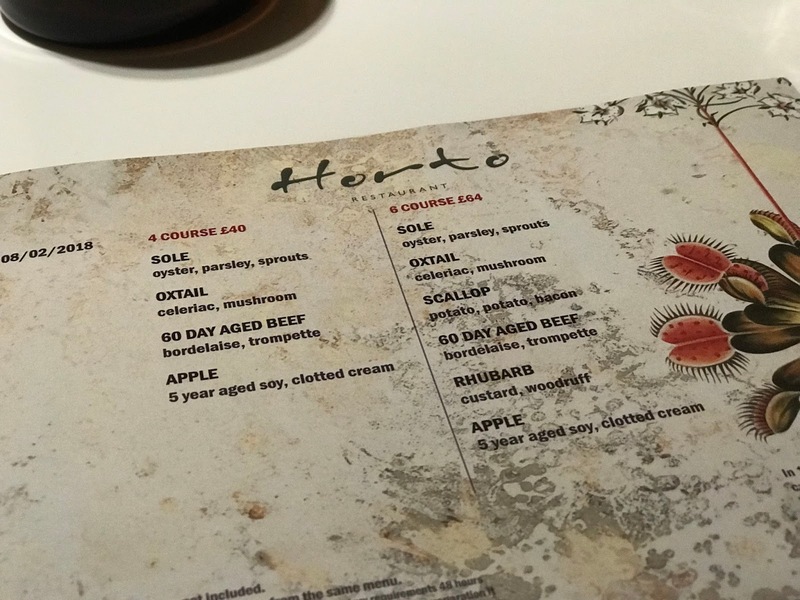 When we were all spruced up we headed to the hotels ‘Horto’ restaurant which is situated by the spa and on the other side of the hotel to The Clocktower restaurant where we had our lunch. 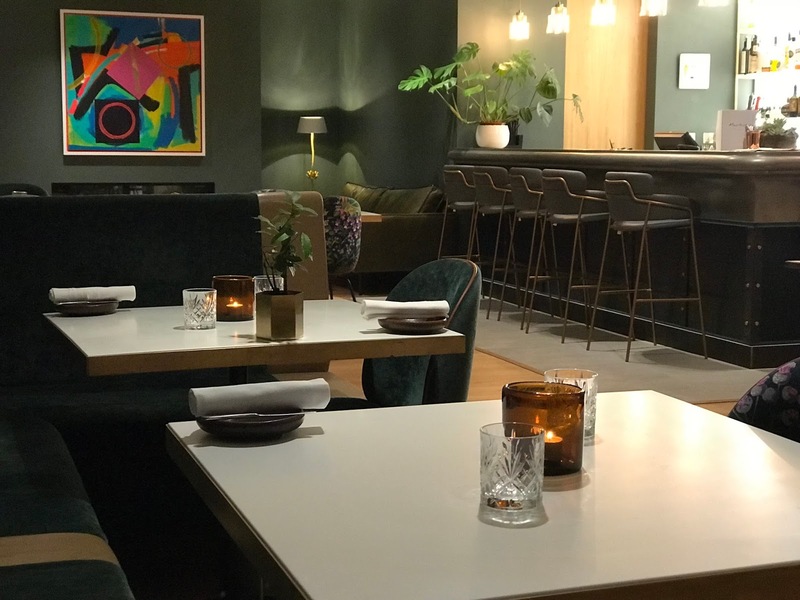 Both restaurants are totally different with The Clocktower being the more relaxed and ‘country pub’ style and Horto being the very modern fine dining option. I like that we got to experience both and think it’s great that they carter for everyone depending on your preference. 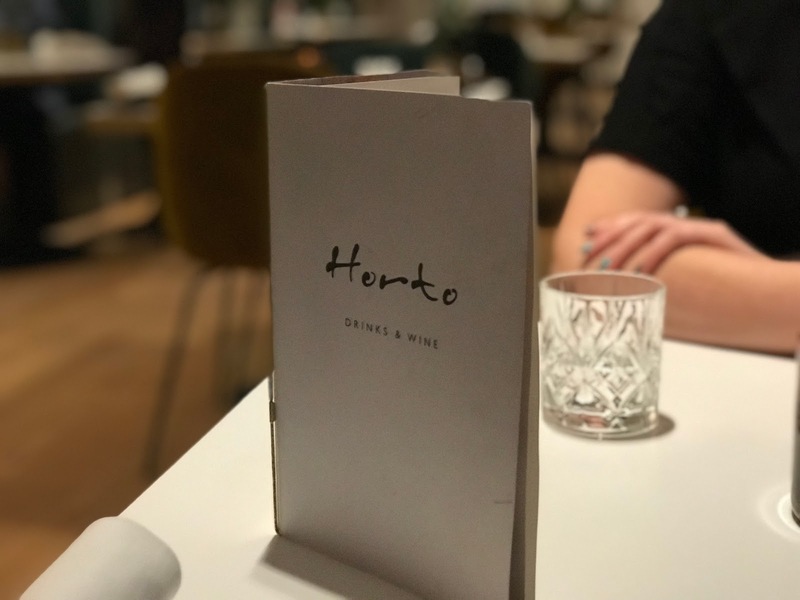 We’d been booked in for the taster menu at Horto which was also accompanied by a wine tasting – something I’ve not done before but was really looking forward to. The meal consisted of 6 courses (there was also a 4 course option but the dishes were small so I’d definitely recommend six) and each course came with a different type of wine that complimented the food. 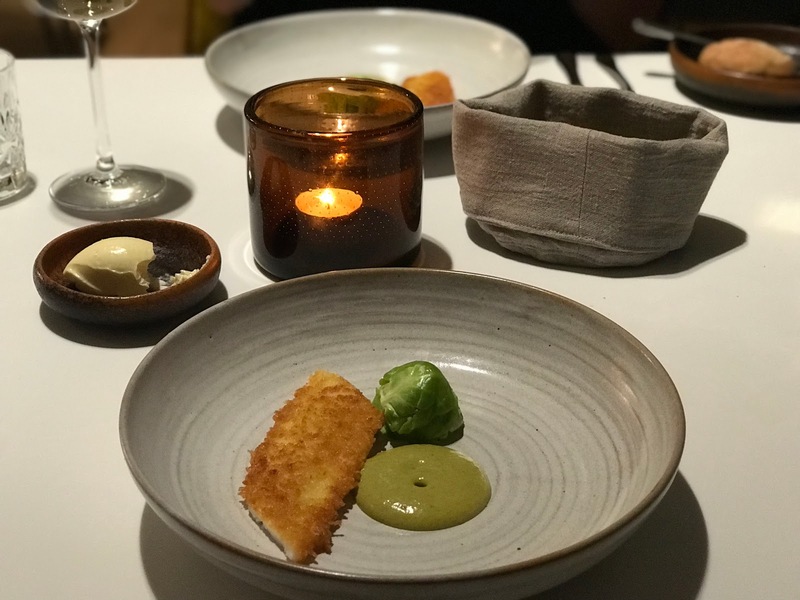 I have to be honest when I say I wasn’t overly keen on a couple of the courses on the set menu - that was nothing to do with the way they were cooked but more down to my own personal preference. I’m not a fan of scallops and no matter how many times I try them or how well they’re cooked, they’re just not for me. However, on the flip side, I absolutely loved a couple of the courses including the braised ox cheek and the beef – both of which were beautifully cooked and melted in your mouth. 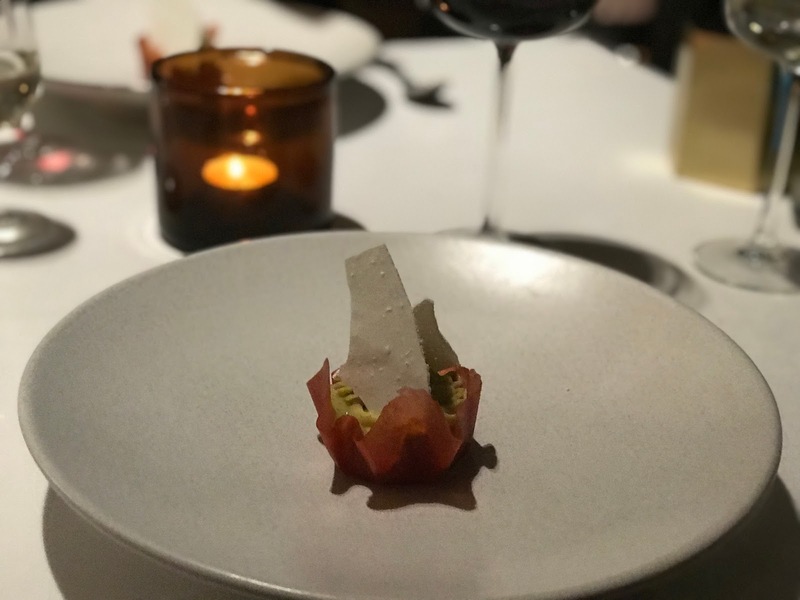 I guess that’s the beauty of a tasting menu – you get to try things you might not have typically ordered and even if there is something you aren’t keen on, you know you have plenty more courses coming your way! I was also really impressed by the wines that were paired with each dish and managed to drink most of them without adding lemonade (yes, I’m one of those people, don’t judge me!). We felt quite sleepy after all the food and drinks with dinner (total grandma’s since we hit our late twenties let me tell you) but we managed to squeeze in one more G&T at the bar before heading back to our room to catch some zzz’s in that humongous (and exceptionally comfortable) king sized bed! The next day we decided we’d get up early to have breakfast so we could make full use of the spa again before check out. Breakfast was served in the Horto restaurant where we’d had dinner the night before and the options available were right up our street. 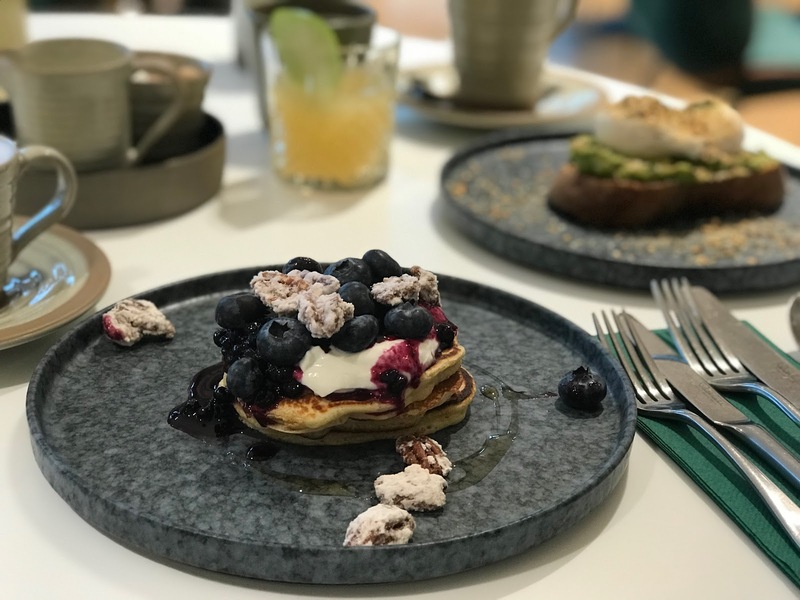 We both opted for the poached eggs and avocado on toast (standard blogger brekkie) and then shared the pancakes for dessert – both of which were delicious, especially the pancakes which I could have easily ate all to myself! Yum! We ate breakfast in our robes which was a slightly strange experience but amazing all the same – the hotel staff had made a point of telling us that they were more than happy for people to wander around and eat in their robes for maximum comfort so we took their advice and it was great. It also meant we could head straight to the spa from breakfast! We decided to do a bit more exploring after spending most of the first day in the outdoor pool and headed for the relaxation rooms. There’s so many different little areas you can sit in to relax – they even have a room with loungers and a sky that looks like stars which is perfect for a little nap area. I also loved the cinema room which has a huge swinging basket chair – again, the perfect place to chill out. The only problem is, it’s very easy to get a little bit too chilled. I felt so chilled by the time we left that I wasn’t quite sure I’d actually be able to drive my car, haha. As you can probably tell by my enthusiasm throughout this post, I bloomin loved Rudding Park and am just gutted we couldn’t have stayed longer. It has everything you could possibly need for a relaxing and enjoyable break. Whether you go for a romantic getaway with your other half, with your mum (mothers day is approaching, just saying!) or with your bestie like I did, I can assure you you’ll have the most wonderful time. I just can’t fault it! Make sure you check out their website here for more info on the facilities and prices!